Workers are giving the oak flooring a final cleaning this morning. 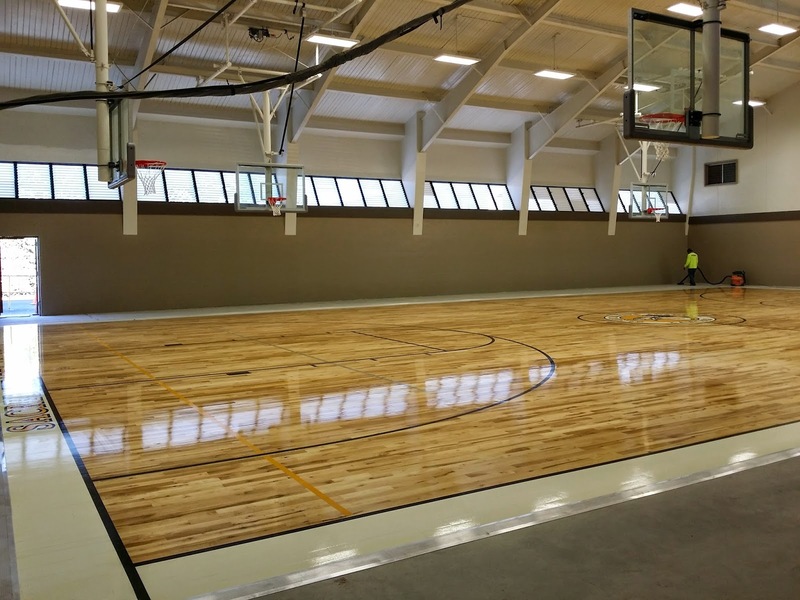 The flooring is part of the gym revitalization project and Sister Katherine will be blessing the court on September 22, 2014 at 1 PM. This will be a moment that Lancer athletes and coaches have been anticipating all summer long! If you are available for this brief ceremony, please join us at the gym!